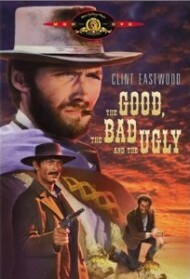 The good, the bad and the ugly is a Spanish epic spaghetti valencian drama directed by Valencia CF and starring in no particular order Mata, Ever and Isco. Well you figure out the order, but the point is its a high quality real life drama or better yet one of the classic Spanish series with each episode extending the same old saga over and over again. In this movie 2.0 of the original the ending is yet to be determined and could potentially infuriate many of the original movie fans, when the good guy won. So lets look at the script for this new and improved movie, which has taken some of the modern Spanish soaps and dramas elements and incorporated them for a more enjoyable experience for all. Juan Mata has been linked with Manchester City, Chelsea, Inter, Juventus, Manchester United, Liverpool and lately Arsenal. He is a world cup winner, U-21 European cup winner and an established first team member of Valencia CF at only 23 years old, so he is hot property right now. 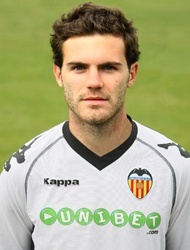 The player himself has said repeatedly that he wants to stay at Valencia CF and I truly believe this is the case, but his father is a different story and wouldn't care if Mata played at Almeria or Leichester City or Turin as long as it involved more money, because he is obviously not the one playing. So this leaves a small opportunity for Arsenal or even Liverpool to come in with a huge offer, one that will be over 30 millions euros to temp Valencia CF sell, even though the staff would be reluctant to do so. Arsenal certainly has the money with Fabregas and Nasri set to leave and would have no problems bidding 30+ million euros to bring Mata. An offer of 35 million may prove to be good enough for the staff to sell him and the recent signing of Piatti although unlikely, may be a sign of things to come. I think it would be best for Valencia CF that he stayed and his value if anything is going to grow as he matures as a player and I really think Valencia CF needs to build on younger players and look towards the future. 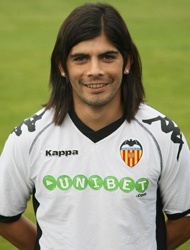 Ever Banega career path has been strange and colorful. At one point he is the reluctant hero and the next the evil villain. The biggest obstacle in his path has been himself with off field shenanigans that have set back his career often times. Right now he is enjoying a good period with a good finish at Valencia CF and representing Argentina in all the friendlies and now in the Copa America. When in full form he is an amazing player and coupled with his young age he is a valuable target for clubs all over Europe. The most interest has been shown by Inter, with Sneijder set to leave them and Campbiaso not getting any younger they are searching to strengthen their midfield and Ever is their prime target. Juventus have also shown interest, as well as Tottenham and Roma. Isco Alocron is the big talent, fan favorite youth player, the rough diamond in the making, there were rumors that Malaga was using Isco as a tool to get Joaquin cheaply, threatening to pay the 6 million release clause in his contract. After the Joaquin saga finished there were reports that Malaga didn't even want Isco, only for the old episode to come as a new episode now and start acting out the same old boring play. 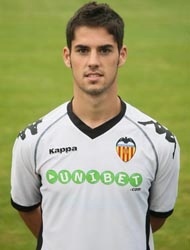 First of all Valencia CF staff need to get Isco back home, sit him and offer him an improved contract, extending his stay with Valencia CF to 2016 and raising his release clause to 60 million euros in order to keep him. I also think he has immediate potential in the first season this coming season.